Join us for Sunday Morning Worship Service at the Old Stone Church (14 S. Washington St) in downtown Naperville at 10:00 A.M.
Our Wednesday night community group meets from 6:00-8:00 in Naperville/Aurora. If you are interested in being part of this community group, please call Tim at 630-753-4806 or fill out the form on the Contact Page. Learn more about our community groups here. Our Thursday night community group meets at 7 PM in Naperville. If you are interested in being part of this community group, please call Chris at 601-927-5313 or fill out the form on the Contact Page. May 7: "If You Could Ask God One Question, what would it Be?" May 14: "Is It Actually Possible to Know God?" May 21: "Who is Jesus Christ and Why Does He Matter?" The group is facilitated by Tom Schmidt, pastor of Cross of Christ Fellowship. Join us for Cookies & Carols 2018 on Saturday Dec 1 at 7 PM at the DuPage Children's Museum in Naperville. We'll be singing Christmas carols together and enjoying some cookies baked by members of our congregation. Please consider bringing a grocery store gift card or a new or gently used children's book to be DONATED to the victims of domestic abuse through FAMILY SHELTER SERVICE. Curious about Christ is a 7-week meetup that explores the person and work of Jesus Christ. 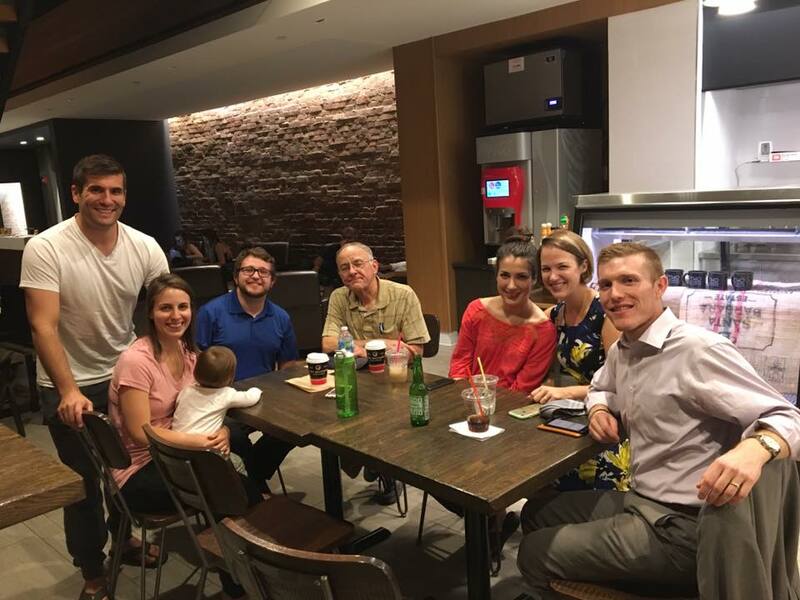 We meet on Sunday evenings from 6:30-8 PM at the Barnes & Noble Cafe in downtown Naperville, starting Sunday 9/16 and going through Sunday October 28th. Are you curious about Jesus Christ? Have you wondered why some people make so much of him? Have you ever really considered who he is or what he did? If you are not a Christian, but are curious about Jesus Christ or the Christian Faith, please join us. Our meetup group is a study that comes together to consider the person, works, and claims of Christ as revealed in the Bible over 7 weeks. This is a great group for those who want to explore how Christ answers life’s deepest and most important questions. It is a group that seeks to show how knowing Christ can bring beauty and goodness into our lives, especially the beauty and goodness experienced in a restored relationship with God. This 7 week study is led and facilitated by pastor Tom. On Tuesday August 28 at 7 PM, we hosted an evangelism training seminar for our members. This will be a training on how to use questions to engage unbelievers with the gospel. The training will give a practical approach of how using questions might be another tool we can use in our desire to engage non-Christians with the gospel. This training will also equip the congregation as it prepares to participate at the Last Fling Festival in downtown Naperville, where a question board will be used to start spiritual conversations with those present. We are meeting at the Free Speech Pavilion (covered area on the Naperville Riverwalk by the Dandelion Fountain) on Monday July 23 at 7 PM for a Hymn Sing. The Free Speech Pavilion is located on Jackson ave and Webster (across the street from the library). We'll be singing hymns together (old and contemporary). Everyone is welcome as we gather together for a time of worship through song. If you are looking for a church home here in Naperville or are exploring the Christian Faith, please join us. The group will be meeting from 9:30-11 on 3 Saturday mornings (3/10, 3/24, 3/31) in March at the Barnes & Noble Café in downtown Naperville (47 E Chicago Ave, Naperville, IL 60540). Each session will be led and facilitated by Tom Schmidt (pastor of Cross of Christ Fellowship), who will lead the group through a study and discussion time. The hope is to allow plenty of time for discussion, where participants can ask questions. If you are interested in joining us, please contact us through our website or our "Ask A Pastor" meetup page. We are limiting the size of the group to keep it smaller, so if you plan on joining us please reach out to us to reserve your spot. We are request, that if possible, those attending bring a book (new or gently used) for a book drive we are doing for Family Shelter Service (a non-profit organization that supports victims of domestic abuse in Dupage County). All of the books will be donated to their resale store Second Chance Resale in Naperville--with proceeds going to support the victims. The preferred books are children's. Join us on Sunday Sept 17th at 10 am for 'Church at the Rivewalk!' We'll be meeting at the Naperville Grand Pavilion (on the west side of the Riverwalk) in downtown Naperville. After our worship service, we'll have lunch together (Cross of Christ Fellowship is providing burgers and hot dogs!). Everyone is welcome as we worship together at the Riverwalk. Naperville Mission Week: A Week of Mission-Minded Activities for the love of Naperville and for the glory of God who loves us. Wednesday 8/30: A Day of Fasting and Evening of Prayer Together. 7 PM Prayer Meeting (PM for address). Friday PM-Monday PM: Four Days of sharing the gospel with residents of Naperville who visit our booth at the Last Fling Festival. We will be giving copies of Gospel of John and using a board to engage passerbys in discussion. Summer Celebration at the Naperville Riverwalk! Summer Celebration at the Naperville Riverwalk: Food, Fun, Music, & Hymns! 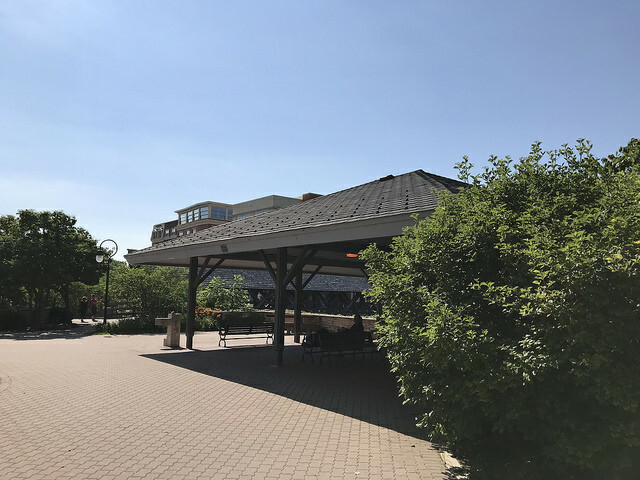 Join us from 5-8 at the Naperville River Walk GRAND PAVILION (912, Honorary Sindt Memorial Ct, Naperville, IL 60540) on Wednesday 6/14 for our SUMMER CELEBRATION! There will be FREE FOOD, Games for the kids, Face Painting, Give aways, Live Music from a visiting choir, and Hymns. 5:00-6:30 Dinner is served (burgers and hot dogs). Everyone is welcome at this free kid-friendly event. Join us for our Easter worship service and stick around for a potluck lunch on Sunday April 16th at 9:30 at the DuPage Children's Museum. This Easter is also our ONE YEAR ANNIVERSARY of hosting public worship services! Everyone is welcome to join us. Join us at our regular worship service time (9:30) and location (DuPage Children's Museum in downtown Naperville) for our first ever Parent/Child Dedication Service! Pastor Pat Aldridge from Redeemer Fellowship will with us to preach as 5 of our couples present their children to be dedicated. After the service is over, we'll be having a potluck lunch together. Please join us for our service and lunch. Join us for Cookies & Carols on Saturday December 17th at 6:30 at the DuPage Children’s Museum (downstairs) in downtown Naperville. This family-friendly Carol Service is free and open to the public. For our Carol Service we’ll being singing Christmas hymns and carols together, hearing Scripture passages, and considering the meaning of Christmas. After the service, we’ll be having cookies together—baked by members of our church. Everyone is welcome at this family-friendly event, even if you have little or no knowledge of the Christmas story or Christianity. This event will take place at the DuPage Children’s Museum in downtown Naperville (301 N Washington St.) and is hosted by Cross of Christ Fellowship (a church in downtown plant that meets on Sunday mornings at the DuPage Children’s Museum). Please join us and bring your family and friends! You bring the questions and topics and we'll discuss them together. Join us for ASK A PASTOR open topic discussion on Wednesday 11/16 at 7PM in the Barnes & Noble Cafe in downtown Naperville. Pastor Tom--pastor at Cross of Christ Fellowship church in Naperville--will lead and host the group. Join us for an afternoon at the DuPage Children's Museum! After our regular worship service, we'll have a potluck lunch together and then will attend the musuem together. The event is free and entrance to the museum is free for those who attend our service and potluck lunch. Come by and visit our table at North Central College's CHURCH MEET & GREET and WORSHIP NIGHT on Sunday 9/25 from 6-8PM in Meiley-Swallow Hall (31 S Ellsworth St). We'll be hosting a table and will be giving away books, Bibles, information about church, and other fun stuff! Jesus of Nazareth. A man who lived 2,000 years ago. What difference does he make today? Why does he matter today? Join us for ASK A PASTOR on Wednesday 9/21 at 7PM at the Barnes & Noble Cafe in downtown Naperville. Pastor Tom--pastor at Cross of Christ Fellowship church in Naperville--will give a brief presentation and host an open group discussion. Come out and see us as we host a booth in downtown Naperville at the the Last Fling Festival over Labor Day Weekend (9/2-9/5). We'll be giving away book and Bibles and talking with people about Jesus. What does the Christian Faith teach about hope? How can we have hope in a world where are our hopes are often dashed? Where is our hope found? Join us on Wednesday 8/17 at 7PM at the Barnes and Noble Cafe in downtown Naperville as we discuss what the Christian Faith teaches about hope. Everyone from religious and non-religious backgrounds are welcome to join us. Pastor Tom will teach and then lead a discussion. Pastor Tom will give a presentation on the topic and then lead an open discussion. Join us on Sunday 8/14 at Central Park (104 E Benton Ave) in Downtown Naperville from 12-2 (after our worship service). Bring food, blankets, drinks, and friends! Join us on Sunday 7/17 at Central Park (104 E Benton Ave) in Downtown Naperville from 12-2 (after our worship service). Join us on Sunday 6/19 at Central Park (104 E Benton Ave) in Downtown Naperville from 12-2 (after our worship service). Join us on Wednesday May 18th at from 7-8:30 PM at the Barnes & Noble Cafe in downtown Naperville for ASK A PASTOR meetup. This month we are having an open topic discussion--you bring the questions and topics and we discuss them together. Everyone from all religious and non-religious backgrounds is welcome. To learn more, go here. Worship at Independence Village (a retirement home in downtown Naperville). Tom will be leading a worship service for the residents at 10 AM on the first Mondays of each month. Join us for 'Ask A Pastor' Meetup as we discuss "What Makes Life Worth Living? Why Do We Exist?" We'll be meeting at the Barnes & Noble Cafe in downtown Naperville on Wednesday April 13th from 7-8:30 PM. Everyone is welcome from all religious and non-religious perspectives. Tom will be giving a short teaching and leading the group in a discussion. To RSVP on meetup, go here. 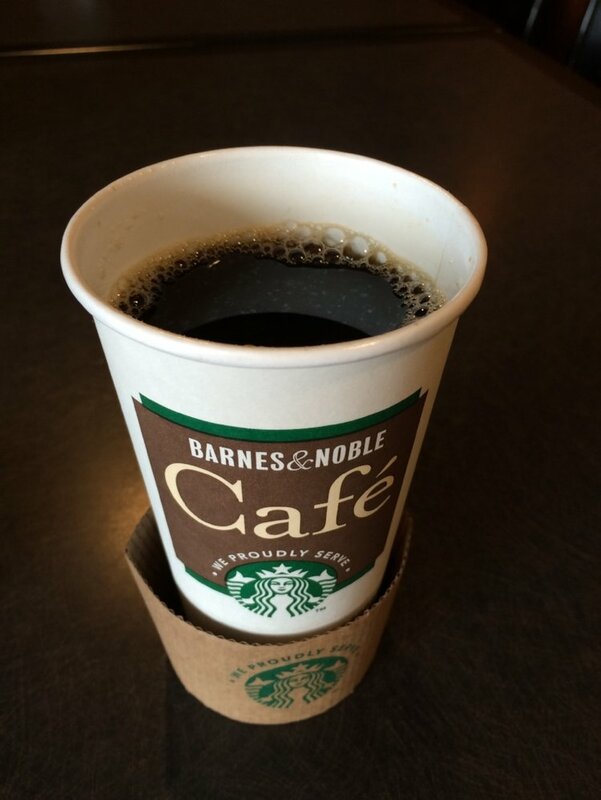 Join us on Wednesday March 16th at 7PM at the Barnes & Noble Cafe in downtown Naperville for Ask a Pastor meetup. Pastor Tom will leading the discussion group. This month it is open topic, so you bring the topics and we'll discuss them together! Join us for a potluck lunch on Sunday 1/24 at 12:30 at Redeemer Fellowship (1125 Oak St. St. Charles) in the fellowship hall downstairs following the 11:00 service. Please sign up in the foyer of Redeemer to let us know what you can bring (or comment on our facebook event page here).